I love Starbucks – the COMPANY. Here’s why. I am a regular Starbucks customer. I go almost every day, in spite of the financial monster in my head who screams, “$3.70 for coffee??? You could retire earlier if you SAVED that money!” Which is true. Except that I can’t count on reaching retirement. So I have my “fancy” cuppa joe each morning before work because it makes me happy, in that moment, every day. THIS morning when I arrived, the barista handed me a grande version of my usual drink – café mocha, non-fat, no whip, 2 pumps. With a hand-written note on it that said, “Just because we love you, Alison!” And then they told me it was on the house. On a Monday morning, that made my day, week and month. Now I know that a company is not a person. (Really – Justice Roberts, it’s not.) But Starbucks is a company that I choose to emulate in my own little, one-person shop. Not around coffee (I’m no expert) but in the WAY they do business and the WAY they treat their customers. What do I mean? Let me count the ways. The baristas know me and I know them. I am thankful for their name tags because I am terrible with names initially, but once I remember I ALWAYS remember. And it’s cheerful to walk in and say, “Hi Ericka/Mitch/Brooklyn” to whoever happens to be across the counter. They are unfailingly friendly and polite. I know that’s part of their job, but at my Starbucks, they do it really well. In this time where simple courtesy and respect seem to be in short supply, I appreciate the fact that they DON’T let it all hang out. I know they’re being nice to me, and I am nice to them back. I like nice. But there are also deeper reasons I start my day with Starbucks. 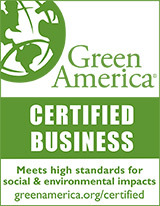 Their environmental stands on everything from ethically sourcing their coffee beans to building LEED certified coffee shops just resonate with me, as owner of a certified green business myself. Their support of education with programs like the full tuition reimbursement for Bachelor degrees through Arizona State shows their recognition, not only of the importance of education, but also of the fact that it’s something their employees want. So many companies trim back benefits every year. To see such an important one added is refreshing! The main thing that I admire about Starbucks is that they’ve made me want to start my day with them. And that feeling of anticipation and happiness is something I want to create for my own clients. I want my interactions – whether in person, on the phone, over email or Skype – to be the best part of their day. Even if we’re talking about something relatively unimportant in the overall scheme of things, I want to make you feel like I’m happy to see you, that I’m glad I can help, and that you are in good hands. Because that’s how I feel – every morning at Starbucks!